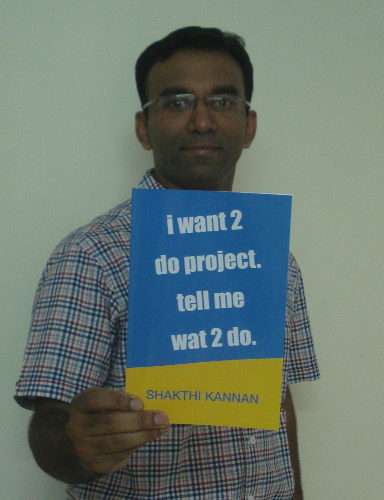 Shakthimaan's Blog | Book: i want 2 do project. tell me wat 2 do. Book: i want 2 do project. tell me wat 2 do. If you have any comments or queries, please feel free to write to me at author@shakthimaan.com.